3. 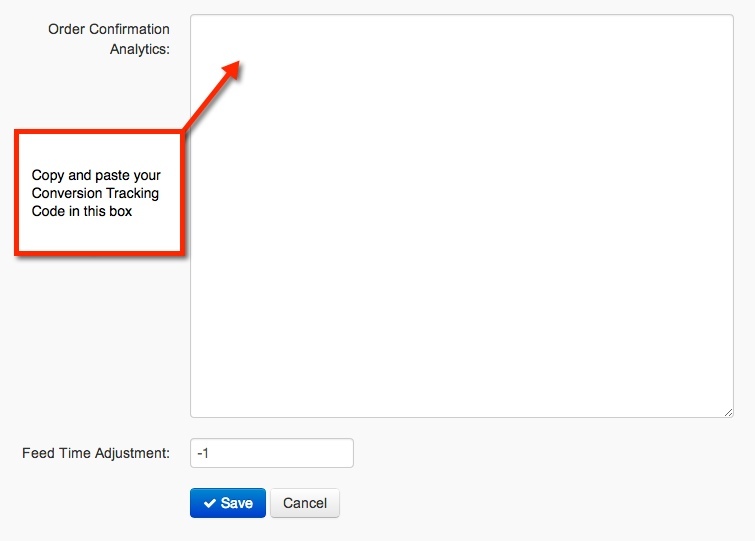 Copy and paste your Conversion Tracking Code into the Order Confirmation Analytics" field. **Note that you can add additional Conversion Tracking Codes by entering a return line and then pasting the next conversion tracking code into the same field.